Large former captain's home in the village of Stonington. 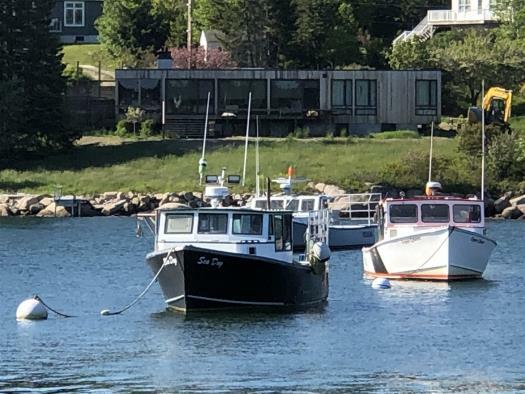 Perfectly situated on the water to take in all of the hustle and bustle of Stonington's Harbor and just steps to the conveniences of Main Street. 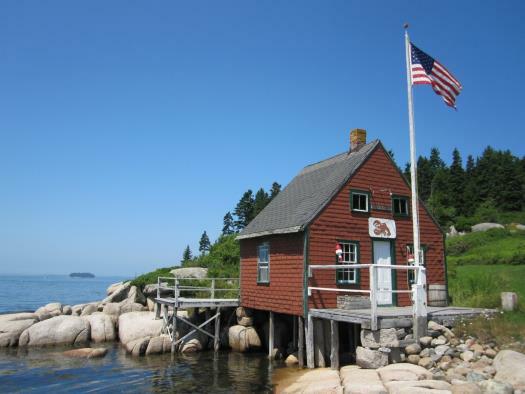 The Harbor View House is ideal for large families or groups, providing an affordable option for a Stonington vacation. 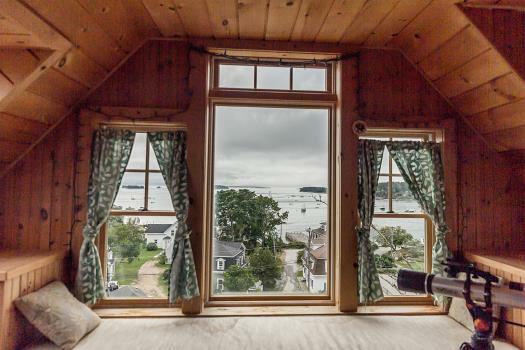 The Harbor View House rests on the shore of Stonington Harbor, offering sweeping views of the thoroughfare and islands beyond, as well as a birds eye view of the day to day happenings on the working waterfront. This large home can accommodate up to 12 people, so let the children bring a friend (you too!) and enjoy this spacious, historic home. There are six bedrooms and two baths (one bedroom and full bath down stairs and five bedrooms and one full bath upstairs). 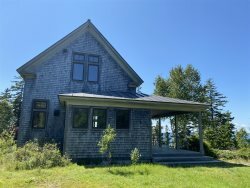 The main floor has a large covered porch, for outside enjoyment, two parlors (one is set up as a bedroom), a nice living room with a television, spacious dining area, an enclosed porch, offers an additional area for relaxation with a large table, great for recreation, projects, meals etc. and a kitchen with a large picture window looking at the harbor, making kitchen chores a pleasant experience. All rooms on the main floor enjoy water views. 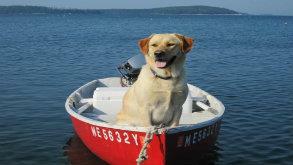 The second floor offers five comfortable, waterview bedrooms and one full bathroom with a tub. 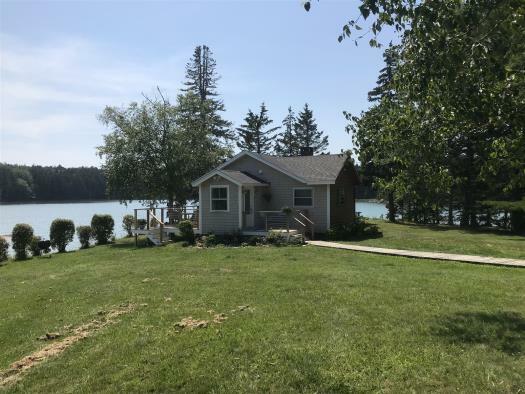 Outside you can sit in the Adirondack chairs, overlooking the harbor or step down to the small beach and dip in a toe or launch a kayak (available for rent locally). 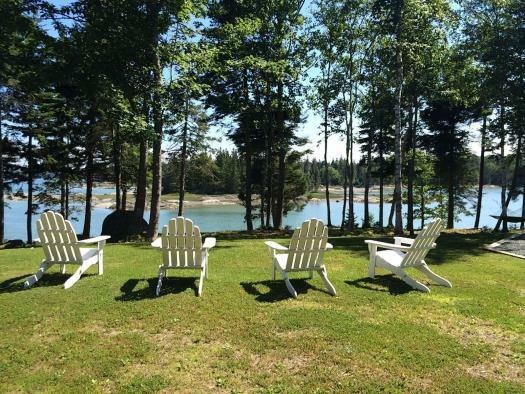 Enjoy a memorable, Maine vacation in this classic oceanfront home. An easy find in Stonington,Maine on a quiet road in town .Even though it was in walking distance of the Isle Au Haut Ferry (which will have a review later)not much noise.This is quint well kept house that had a room for each of us.An older home with character.In my eyes it could have used a little bit of update but everything was workable.Plenty of room to get away from each other.This includes a side porch which faces the harbor and all the lobster boats.Bedrooms were big with nice views of the harbor.Kitchen was a bit small for all of us at one time so to help with that I just let others do the cooking!It too had a nice view of the harbor..Stove definitely needed the update.It was a gas stove which needed lit by a match.Even with directions it was a bit challenging. Thankfully one had experience using one.There was much room in the livingroom yet could have used a few more chairs but we just got folding chairs from the porch.Here's a chuclke for those who don't know much about tides.We thought "oh,what an ugly view. Maybe they are dredging it".We walked down and looked for seaglass .Think we found some but really didn't know what we were looking for so we threw it back.Thought we'll get it later if that was what it was.Big mistake.In the morn I looked out and water spashing around.Lots of water!Making it quit the view!Now this house will not be too handycapped friendly.Three steps on the front pouch.But there is a ramp on the side door which might be a tight fit.There are also steps to the next level.Once you get in you will be fine.There is a full bath down and a full bath up.TV worked fine and most of had service on phone.Better when you walked up stairs and stood in the room with the twin beds! Located within walking distance to down town.A couple of the girls frequented the 44 coffee shop each morn.Driving did take us by surprise on how long it took to get places but Stonington and the house was just what we were looking for.